Flor leaves quality role for U.S. position. FRANKFURT -- BMW has named new bosses for its U.S. factory and two key plants in Germany. Knudt Flor, 57, will assume responsibility for the automaker's biggest global plant in Spartanburg in the U.S. state of South Carolina, effective December 1, BMW said in a statement. Flor is currently BMW's senior vice president of corporate quality. He takes charge of Spartanburg as the company plans to increase production at the factory to 450,000 SUVs this year after building a record 400,904 vehicles in 2015. BMW builds the X3, X4, X5 and X6 crossovers in Spartanburg and will add the X7 in 2018. Flor's current role will be taken by Anton Heiss, 59, who managed BMW's China joint venture with Brilliance Auto Holding until last month. The current boss at Spartanburg, Manfred Erlacher, will take charge of BMW's Regensburg plant in Germany, effective February 1. Erlacher, 61, has worked for BMW for 32 years. BMW builds 1-, 2-, 3- and 4-series models alongside its X1 crossover at the plant, according to the Automotive News Europe plant assembly map. 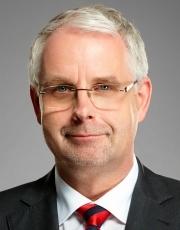 Andreas Wendt, currently head of the Regensburg plant, has been named as the new director of BMW's Dingolfing plant in Germany starting February 1. The 58-year-old has been with the automaker for 14 years. He replaces Josef Kerscher who is retiring. BMW builds 3-, 4-, 5-, 6- and 7-series models in Dingolfing.